He was up there with Jete and Mo as my favorite Yankees way back when, and today he soared past the no-names and has-beens that currently make up the lineup (I refer to them as #theseyankees on Twitter) in my book of most likeable Yankees. Alfonso Soriano is back with the team that believed in him way back in the '90s, and he's got me pretty psyched to watch the Yankees again. I almost bought one ticket for the game tonight to enjoy it with me, myself and I. It's been 10 years since he's dawned the pinstripes. The then second baseman slugged 38 homers and stole 35 bases that year and helped them reach the World Series, in which he struck out nine times in six games and homered once. A lot has changed in 10 years for Sori; he's been grazing grass in left field for flies and he isn't stealing nearly as many bases as he did in pinstripes. But the production is still there (17 HR & 51 RBI) this season and so are the K's (89). The good news? The Yankees didn't have to give up much to get him. Just some B-level prospect that will probably turn out to be the next Ian Kennedy and $6.8 million for his services the rest of the season. 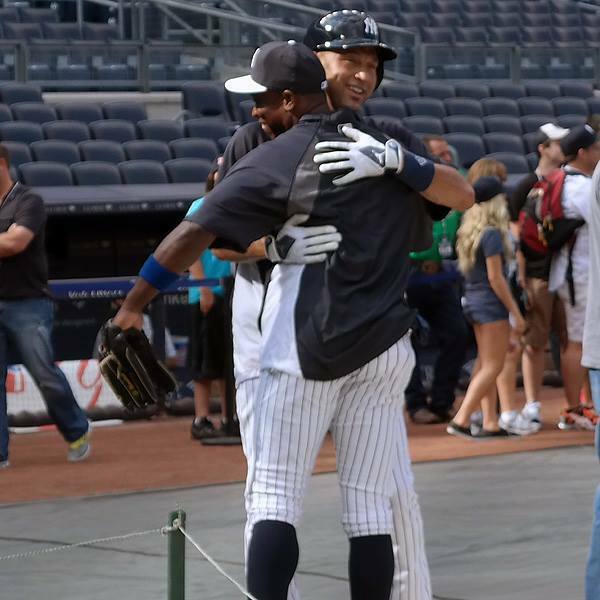 But seriously, Soriano fills a much needed void in the Yankees lineup: a right-handed bat, and some protection for Captain Cano (let's face it, this year he has been team captain). He's always performed slightly better against lefties than righties, but either way he's not getting on base as much as you'd like your clean-up hitter to get on – a putrid .287 OBP for the year – even Zoilo Almonte (.305), Lyle Overbay (.298) and Vernon Wells (.288) top that. Bottom line: I'm glad he's back, and I wish he never left so we wouldn't be reading this garbage.